AIR 3.2 and Flash Player 11.2 release candidates are now available for download on Adobe Labs. These latest versions have some exciting new features, including Stage3D for mobile devices, broader Stage3D support on desktop machines, multi-threaded video decoding, and better mouse support for gaming scenarios. Get ready for some incredible mobile and desktop experiences powered by Adobe Flash & AIR. You can read more about what’s new in Flash Player 11.2 and AIR 3.2 on the Adobe Digital Media blog, or check out the videos below to see some of the new features in action. Download AIR 3.2 and Flash Player 11.2 release candidates today! Or download a PDF version to read later. Here is an excerpt; be sure to read the entire white paper for a clear outline of the future of Flash runtimes. The future is going to be awesome. Looking forward, Adobe believes that Flash is particularly suited for addressing the gaming and premium video markets, and will focus its development efforts in those areas. At the same time, Adobe will make architectural and language changes to the runtimes in order to ensure that the Flash runtimes are well placed to enable the richest experiences on the web and across mobile devices for another decade. I wanted to make sure that people were aware that you can repurpose your content, and here’s an example of how. 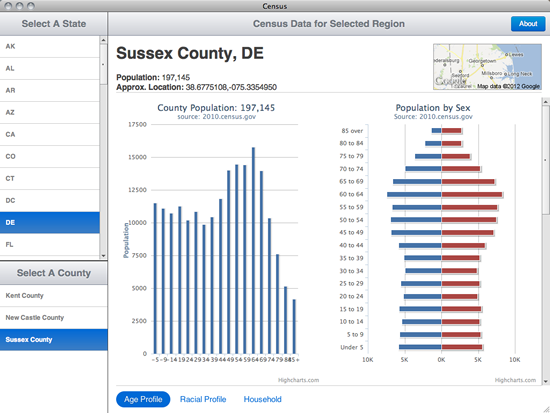 A while back, I wrote a sample PhoneGap application that allows you to browse information from the 2010 US Census. You can read more about this application and download the source code here. This application supports lots of platforms… iOS, Android, BlackBerry, and web (everything except IE because I was targetting WebKit browsers). I had to use my Android 2.x branch of the US Census Browser code because the WebKit instance inside of AIR doesn’t support SVG. I also changed the container scrolling to use normal CSS “overflow: auto” instead of using iScroll for touch-based scrolling. There were a few other one-off CSS changes to tweak the layout in the AIR web container, but otherwise the code is identical. 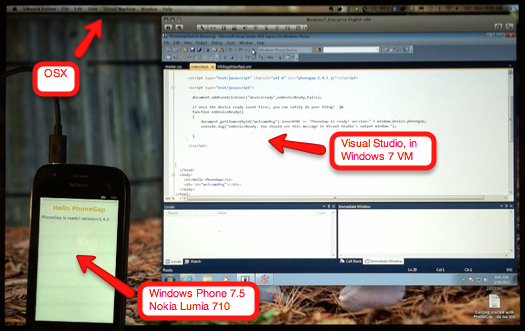 You just need to create an AIR application XML file and point it to your HTML content, and then package it using ADT. Notice that the “content” node just points to my “index.html” file. You can read more about this process in the Adobe AIR documentation. 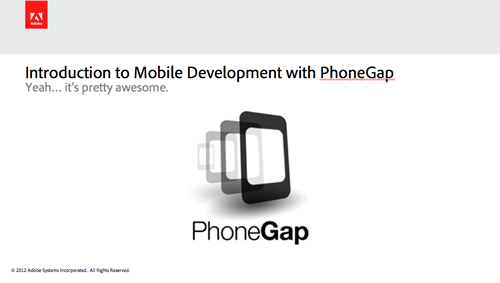 If you were using PhoneGap APIs, you would have to migrate your code to take advantage of AIR APIs, but all other HTML/CSS/JS could be reused with minimal changes. Even though I used AIR for this example, AIR isn’t the only game in town for HTML-based desktop applications… There’s an open source project called MacGap, you can use HTA for Windows, and it’s not hard to write a HTML/Web View wrapper for any platform. It’s even been reported that you are going to be able to write apps for Windows 8 purely using HTML & JS, and you would be able to repurpose your code for this as well.